DIY - Reverse Raffle fundraiser! want to be eligible for the prize, they can “sell” their ticket for $1 to $10 – depending on your attendees. Why would they want to get rid of their ticket? Consider prize options/activities that can be completed during the event itself such as …. singing a song standing on a table; wearing a silly hat or mask; having their face painted; wearing a funny costume; or ????? Be creative! You will find very few spoil-sports who won’t go along. If nothing else, they will “sell” their ticket to keep from looking foolish. Your only expense is the raffle tickets (a double ticket roll, a single ticket roll that you tear in half or a board with the numbers for sale). All ticket stubs (or duplicate tickets or numbers, depending on your style of raffle tickets) are placed in a hat or other container from which one “lucky” number is drawn. The drawing is normally held early in the event to make sure that the “lucky” holder is present. Alternate 1: Offer a prize such as a goat, pig, donkey, etc. 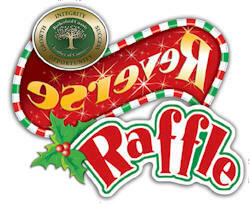 You can be magnanimous and offer to purchase the prize back from the lucky winner for $10. Alternate 2: Another alternative is to have a raffle with a “real” prize but rather than let the first number drawn win, you keep drawing until only one number is left. The winner is the last number drawn.